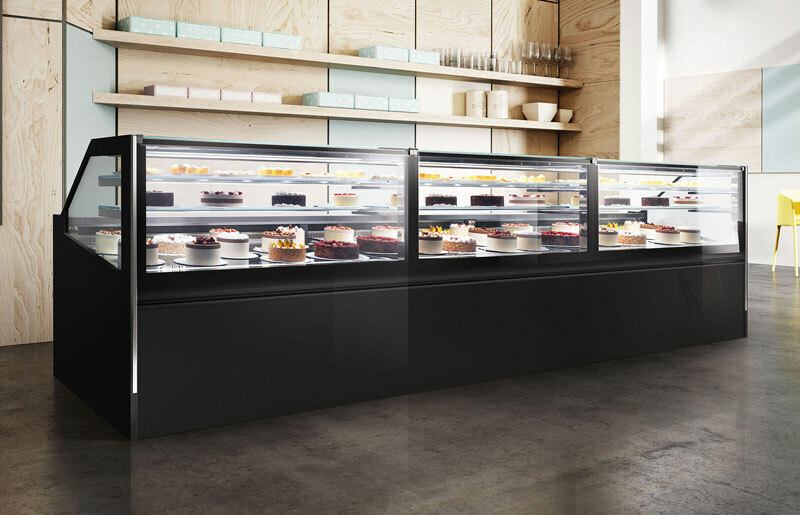 Designed for pastry, “Just” is a complete and versatile range of refrigerated, neutral, heated, and hot/cold display cases. The models feature LED lighting inserted into the lateral and upper profiles, facilitating a perfect view of the display surfaces. For over 40 years the display cases created by Frigomeccanica Group have been an excellent synthesis of technology and aesthetics. They are genuine jewels designed to deliver cutting-edge performance while being pleasant to look at. With its brands Frigomeccanica, Stiltek, Officine 900, and Sifa, the Group is completely Italian. In its facilities located on the outskirts of Teramo, a production space of over 40,000 square meters, the Group produces a full range of display cases for gelato, pastry, food and furnishings for cafés, bakeries and restaurants. Solutions developed to meet the needs of its customers, to whom it offers a complete and customized design service. Among its many products, of particular note is Premium, an exclusive line of professional display cases for gelato, pastries, and pralines. The perfect synthesis of technology and design, it is available in two heights and three lengths, all interconnectable. The flush display surface without barriers allows a perfect view of the product, even from a distance. 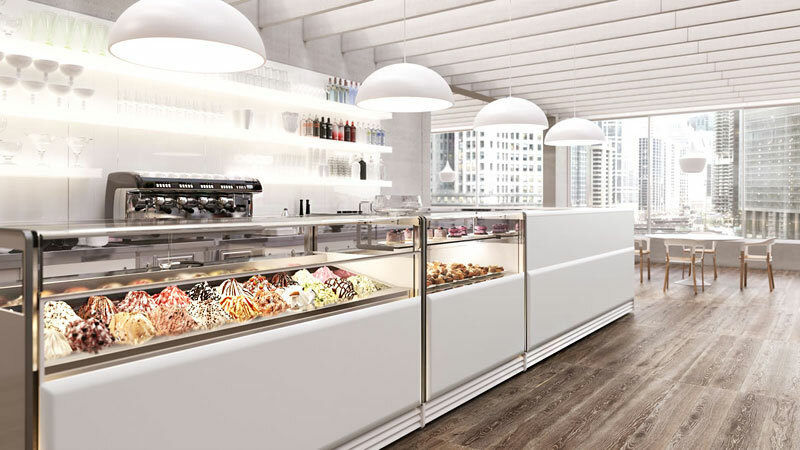 Thanks to the All Season function, the gelato shop model offers the possibility of choosing between positive and negative temperatures, thus allowing for use during all months of the year. With its eye firmly on the future, Frigomeccanica created “Next”, a collection of modular cabinets available in refrigerated, heated, or neutral versions, in different heights. Designed to occupy minimal space, they have glass walls on four sides with a transparent Plexiglass load-bearing structure, providing a 360° view of the product.